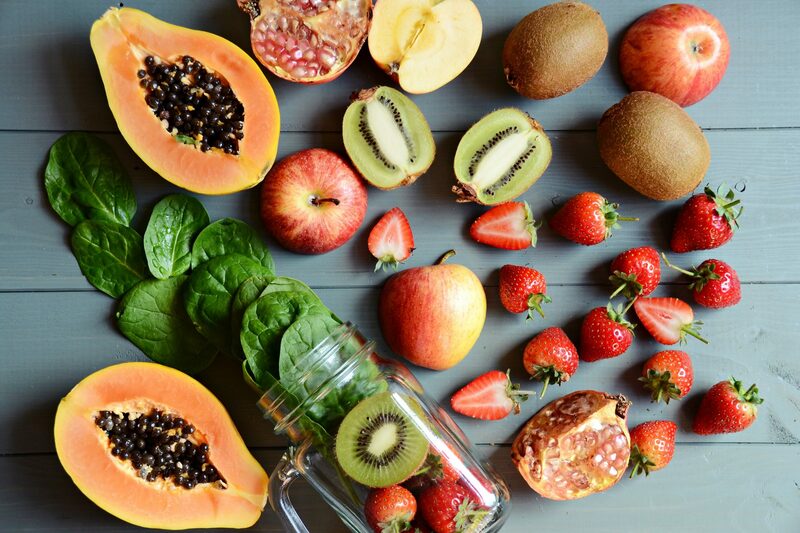 Does Eating Organic Have to Kill Your Grocery Budget? And Does it Even Matter? Here are the Facts! The label of organic has come to mean that something is better for you than non-organic, whether it is a food or any other product. This usually means a higher price on that product as well. However, a label of organic doesn’t necessarily mean that something is healthy, or even that it’s really organic. An organic Oreo cookie is still just a highly processed cookie. Studies show that many people now believe eating non-organic fruits and vegetables is worse than not eating any fruits and vegetables. This is not true! The antioxidants and health benefits of non-organic fruits and vegetables still tend to outweigh the drawbacks. But wouldn’t most of us prefer to eat food without the drawbacks of chemicals or inferior nutrition if we could do so without killing our grocery budget? Yes! 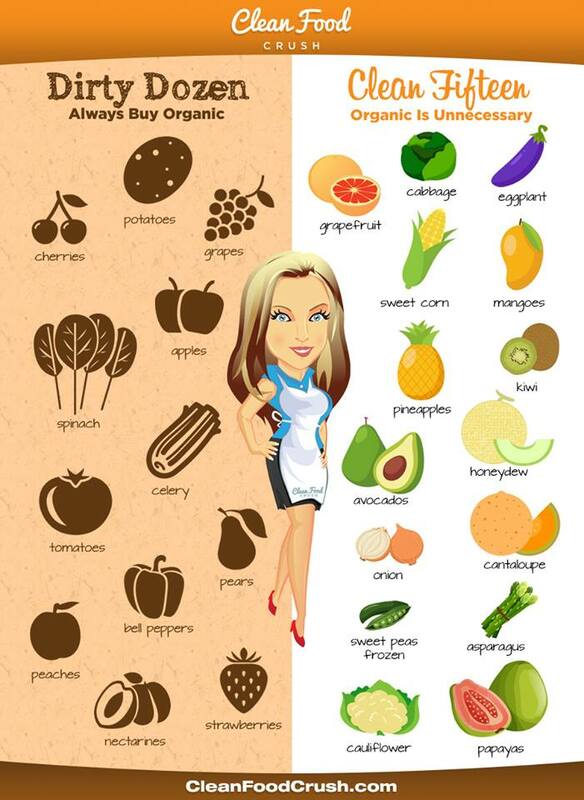 Part of saving money in this area is knowing which foods you really need to buy organic, and which ones you don’t. Here are some facts and tips on that and more, to steer you in the right direction. 1. Meat is the most important food to buy organic. The number one most important food to buy organic whenever possible is meat, because of the way meat absorbs the chemicals and hormones that is has consumed/been exposed to. If you can only buy one food organic, make sure it is your meat. The next most important is dairy, for similar reasons, and lastly is produce. The Dirty Dozen are the top 12 fruits and veggies that have been tested and shown to have the most chemicals/pesticides present when non-organic. These are the fruits and veggies that are really important to eat only organic. Dirty Dozen List: strawberries, spinach, nectarines, apples, peaches, pears, cherries, grapes, celery, tomatoes, sweet peppers and potatoes. Just as important to know are the Clean Fifteen, which tend to have little to no chemical residue. These are: sweet corn, avocados, pineapples, cabbage, onion, sweet peas frozen, papayas, asparagus, mangoes, eggplant, honeydew, kiwi, cantaloupe, cauliflower, and grapefruit. Keep in mind that most fruits with a thick outer skin, such as citrus fruits, are safe to eat as non-organic. And when your options are really limited on produce, you can always make your own special cleaner (made of water and lemon juice or apple cider vinegar) to spray on non-organic fruits and vegetables to help remove toxins. 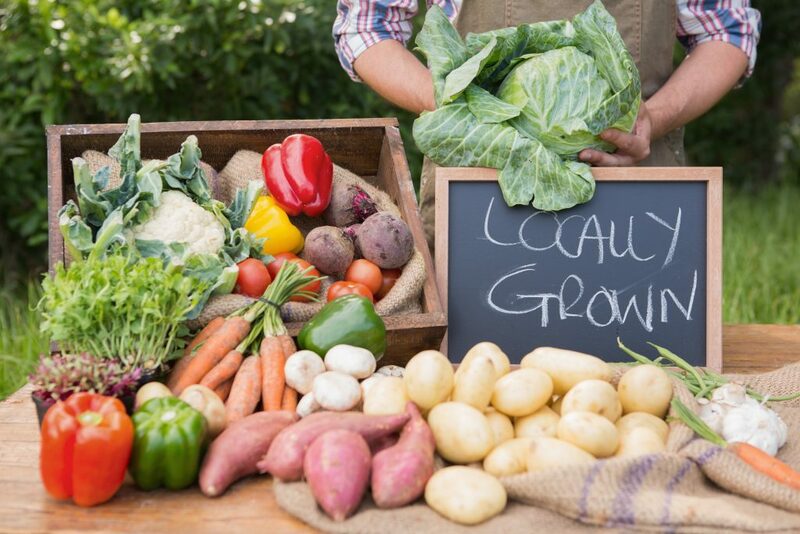 Many communities now have the opportunity for you to pay to reserve a plot (a small share of land) in an organic garden being grown by others, from which you will receive the future crop of fruits and veggies. As the garden-fresh produce from your plot is ready, you can either go and pick it up or have it delivered to you. This is significantly less expensive and more fresh than buying groceries at the store, and very convenient if you can’t do your own garden. Sometimes local farmer’s markets will have cheaper organic produce and products than the regular grocery store as well. Maybe you don’t always have access to something like buying a garden share or to the farmer’s market. It does take a little time and effort, but it’s very helpful to scout out which stores have the best deals on specific things. Stores like Trader Joe’s, Whole Foods, Natural Grocers and even Walmart, each have great, ongoing deals on different organic foods and products. For example, you may find that one store has the best price on their own brand of organic hummus, but another store tends to have better deals on their organic yogurt or produce. One store I go to locally frequently has great organic products in their “discount” section, which have been marked down to very low prices. 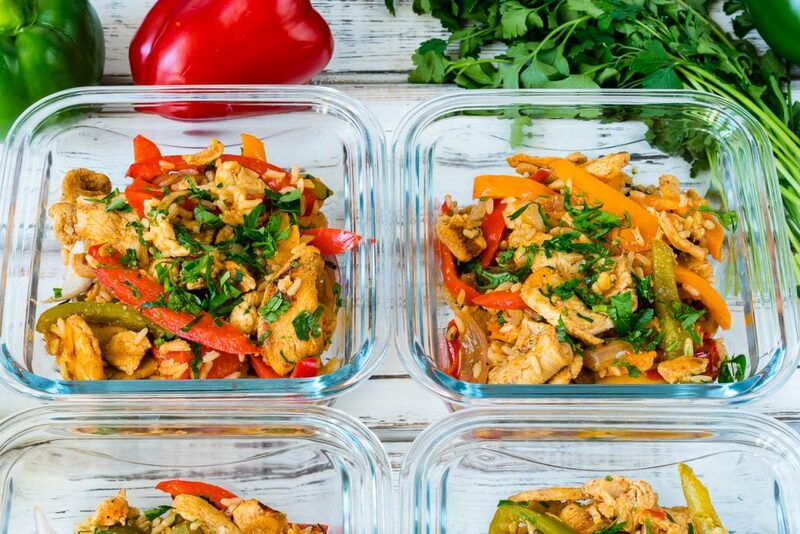 Basics like budgeting, meal planning and following meal prepping ideas like these 15 Minute Skillet Chicken Fajitas in advance for the week are always helpful with keeping down costs and eliminating waste. This applies whether you eat organic or not, but may be especially important if you do. Learning to simplify and cut costs elsewhere can also save a lot. For example, using a just a few inexpensive products like witch hazel, apple cider vinegar, Dr. Bronner’s Soap, coconut oil and aloe vera gel for most of your personal care/beauty needs, is a great way to cut costs in that area.